(Natural News) For the last 40 years, experts have observed a considerable decline in the population of endangered pollinating insects around the world. To address this alarming concern, researchers from Lund University set out to determine an effective method that can be used to stop the decline of pollinators. After an in-depth three-year study, researchers discovered that organic farming methods can help end the decline in the population of pollinating insects. The researchers explained that organic farming is an effective resolution for this problem because it is a farming method that doesn’t require insecticides. Organic farming is also associated with an increase in flower resources for pollinators. Organic farming is an established way of promoting pollinator diversity in crop fields. However, some experts posit that organic fields will only attract pollinators from other habitats in the landscape and that the method isn’t an effective long-term method of sustaining pollinator insect populations. The research team from CEC sampled bumblebees, butterflies, and flowering plants throughout the growing season in 10 organic and nine conventional farms in Scania, Sweden. The results of the study revealed that, depending on the crop type, the stabilizing effect was either linked to a more stable provision of flowers or the lack of pesticide use in the farms. Carrié said that a noteworthy result of the study determined that stable and plentiful flower resources can maintain pollinator communities. The flower resources proved to be effective even in conventional farms where insecticides are used. Carrié concluded that this strongly implies that utilizing efficient flower-enhancing management options and the limited use of insecticides can help prevent declines in the population of pollinating insects. Grow gardens instead of lawns. Grassy lawns can’t do much for bees, so cultivate a garden instead. Plant native flowers. When you plant native flowers in your garden, you can help boost pollinator efficiency, which then promotes species diversity overall. Cultivate a diverse garden. Growing different kinds of plants can do more than give your garden a unique look. There are various kinds of bees, and growing different plants and flowers ensures that you can support as many of these bees as you can. Take full advantage of the blooming season. Plant a combination of different pollinator-friendly species with staggered bloom times so bees will thrive in your garden throughout the year. Leave habitats for nesting bees. Contrary to popular belief, many bee species live underground instead of in hives. Some bees will burrow on bare ground or in little sandy corners of your garden. Other bees will tunnel in bits of wood left in certain areas of your yard. Give bees access to water. Like other creatures, bees need water to properly digest their food. Bees also bring water to a hive where it is used for various purposes. Bees may use water to regulate humidity in a colony, or multiple bees can bring back water that will be evaporated to cool down the hive. 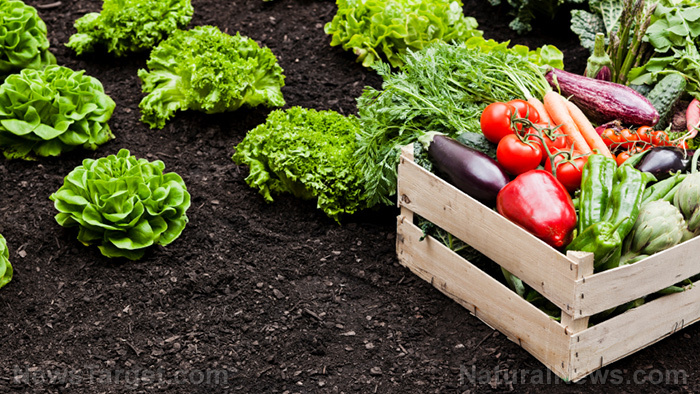 To view more articles about the ecological benefits of organic farming, visit GreenLivingNews.com.